The residential association (RA) retained Amento Group in 2009 to conduct a condition assessment as part of the implied warranty investigation process. 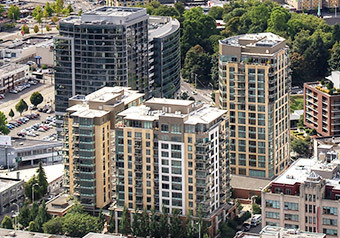 The scope of assessment was expanded when the Developer, RA, and other parties involved with construction of the 900,000 sf mixed-use property signed a joint investigation and dispute resolution agreement. The joint investigation lasted approximately 2 years and culminated with an agreement where the cost to repair the warranty defects was paid by insurance proceeds. The residential and commercial owners hired Amento Group in 2013 to provide pre-construction and construction management services for the 30-month remediation project.